Rimini is known as the biggest resort on the Adriatic coast. But, not only resting on the sea, glorifies the city. 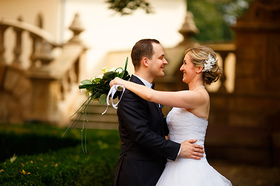 Perfect weddings in Rimini are often organized under the arches of amazingly beautiful palaces, castles and churches. 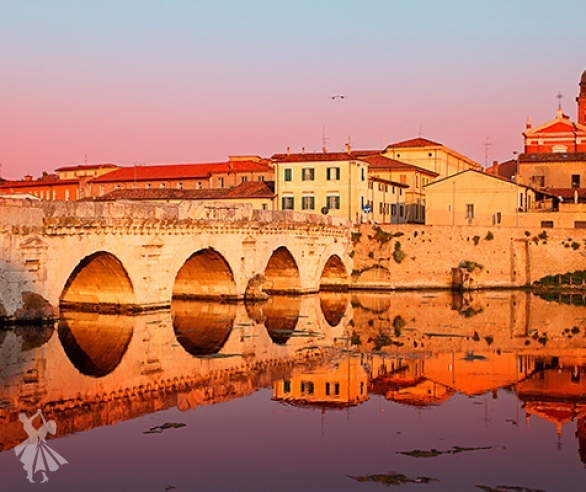 Rimini is a treasure trove of art and architecture works, of Julius Caesar times and the Middle Ages, while the gardens and parks of the city are wonderful pieces of jewelry that can be a great backdrop for your wedding photos and video stories. It has a complete atmosphere and places to satisfy your dream of getting married in Italy, at the highest level. Rimini is a major city in the region of Emilia-Romagna in the northern part of Italy. It is located at the foot of the Apennines, near the Po Valley and the Adriatic Sea. This position makes the climate mild, and even in winter the frosts and cold weather are rare. Thanks to it, organizing of weddings is very popular in Rimini even in winter. The average temperature reaches +10 degrees in winter. The warmest months are from May to mid-October. The air temperature in the summer reaches +28 degrees, in the autumn +20 degrees. Rimini has an international airport, which hosts regular flights from all over the Europe. For those who plan weddings in Italy, our agency will help arrange the transport tickets or private cars. For more information about how to get to Rimini, please contact the Italian Wedding agency. 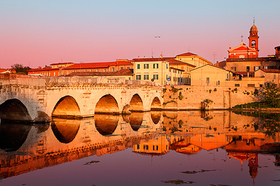 The symbols of Rimini are Tiberius Bridge and the Arch of Augustus. These architectural buildings were built in the long ago times of the Roman Empire, when the power belonged to the Emperor Hadrian and Augustus. The Temple and the mausoleum Tempio Malatestiano are examples of Gothic architecture. The central part of the city usually begins with this monument. Area Piazza Cavour - the administrative center of the city, which has the facades of old palaces, the statue of Pope Paul V and a fountain "bumps" - an original artwork of the Middle Ages. Castel Sigismondo from the XV century was the residence of the governors. Today it’s a museum of non-European Rimini cultures and Ethnographic Museum. Clock Tower with an eternal astrological calendar and palace Palazzo Brioli, an architectural composition of the XV century on the square Tre Martiri. Long ago here, the Emperor Julius Caesar had a speech. Rubicon River, as the legend says, Julius Caesar crossed the river and overcame the power over Rome; today is a small river, of 29 km long, which flows in the north of Rimini. Despite, the absence of the true facts of this occurrence, people continue to believe the legend, and consider the Rubicon a symbol of overcoming the obstacles to their goals. This is a special attraction not only for tourists, but also for newlyweds. When you say Rimini, this of course, gets you to the sunny beaches. Each area of the city, which are 10 of all, has its own beach. The most cheerful, noisy, and crowded beaches are in the center of the coast. The quiet ones are located in areas far from the city center. All beaches have beautiful parks and gardens with flowering plants. One of them is the park Fellini. It is located in the central region of Rimini with a beautiful name of Marina Centro. The incredible beauty of this park will not pass unnoticed by the lens of the photo or video camera. 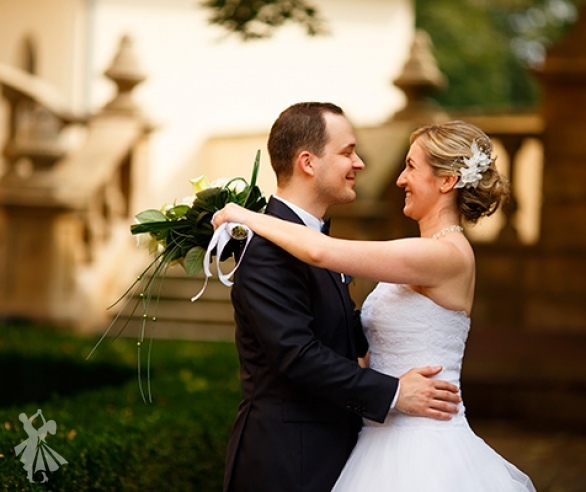 Capture your best moments of joy and happiness of a wedding celebration in the beautiful gardens of Rimini!